Explore the maritime sights, sounds and seafood of Nova Scotia and Prince Edward Island as you travel through some of Canada's most stunning landscapes. 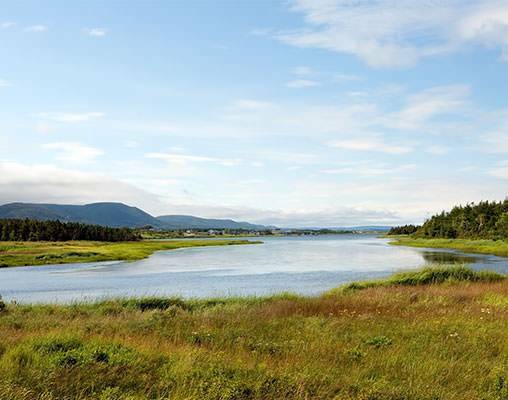 Discover the rugged, salt-sprayed coastlines and lush green inland of Nova Scotia. Colored by its maritime origins and vibrant history, Nova Scotia is a breathtakingly beautiful, diverse and culturally rich destination guaranteed to stir your imagination.You also get to experience the magical beauty of crescent-shaped Prince Edward Island, the smallest of the Canadian provinces. This land has miles of sandy beaches, stunning cliffs, a welcoming community, and some of the best seafood around. The tour begins in Chicago, traveling through the Midwest plains before reaching the East Coast. In Portland, Maine, take a high-speed ferry toward your first stop in Nova Scotia. 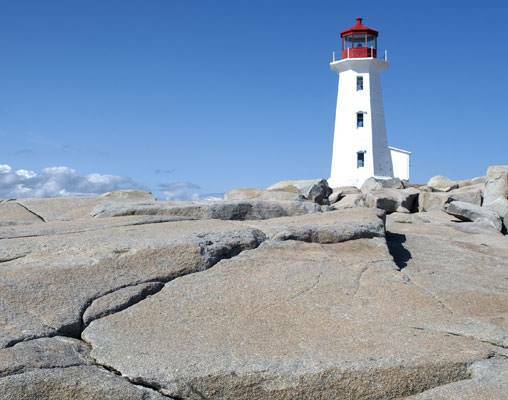 Spend three days exploring Nova Scotia's charming capital of Halifax, where you'll explore the amazing Peggy's Cove and visit the Maritimes Museum of the Atlantic. 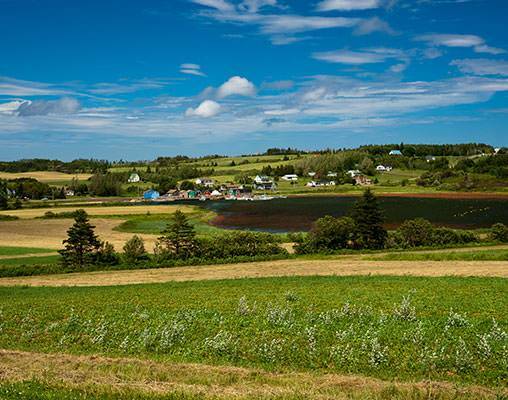 After exploring the beautiful Bay of Fundy, make the journey to Prince Edward Island. Here you can visit the famed Anne of Green Gables home and feast at one of the Island's most popular restaurants. The next day, cross the Northumberland Strait to Caribou and visit Cape Breton Island, where you will stop at the Alexander Graham Bell Museum. 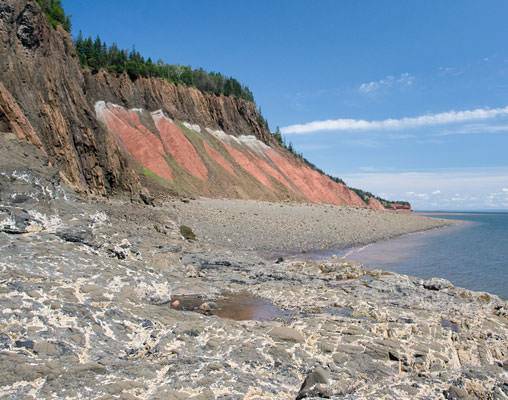 Enjoy a trip along the Cabot Trail in Cape Breton Highlands National Park. 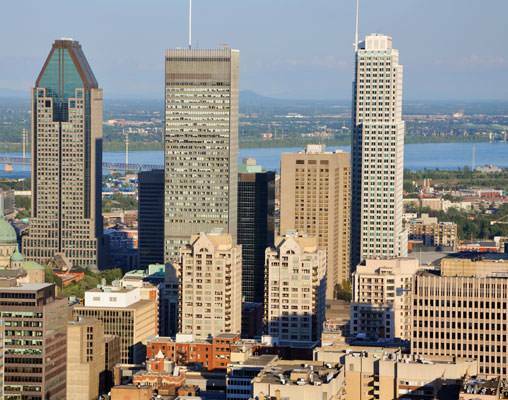 Next, your excursion takes you to the posh capital of Montreal, the second-largest French-speaking city in the world. Here you can experience the hustle and bustle of this diverse, cosmopolitan city and enjoy some its finest shops and restaurants. A sightseeing tour will take you to Montreal's top-notch spots. Nova Scotia and Prince Edward Island Midwest and West travelers will meet in Chicago Union Station this afternoon. At 8:00 p.m. we'll start boarding the eastbound Lake Shore Limited. Departure is scheduled for 9:30 p.m. Relax in your comfortable reclining coach seat with leg rest. Roomettes or Bedrooms are available at an additional cost. You're free to explore the train. Go to the lounge car for snacks, sandwiches, and beverages. Eastern tour members will depart tomorrow for Boston. The Lake Shore will pass through Toledo, Cleveland, and Erie early this morning. Enjoy the passing scenery as we continue through the states of New York and Massachusetts to Boston. Upper New York residents can board at Buffalo, Rochester, Syracuse, Utica, and Albany during the day. Eastern and Mid-Atlantic travelers will arrive in Boston throughout the day and transfer to our hotel. The Lake Shore Limited's arrival into Boston is scheduled for 8:01 p.m. We will transfer to the Hampton Inn for the night. 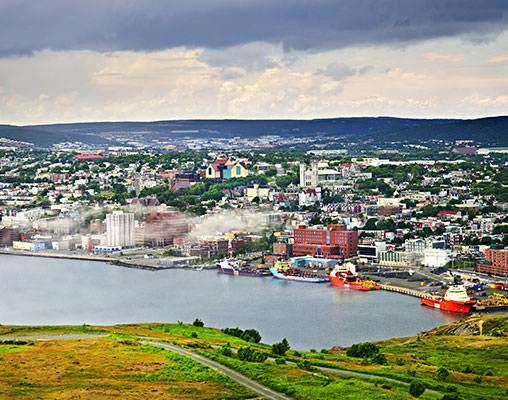 This morning we’ll board our motorcoach and head to charming Halifax. 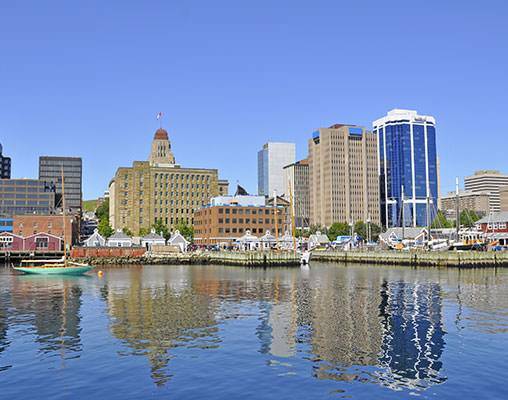 Halifax is the Maritimes largest city and one of Canada's most important commercial centers. An “on-your-own” lunch stop will be made en route. Upon arrival, we'll check-in at the Delta Halifax. Our home for the next two nights is conveniently located near major Halifax attractions. You're free this evening to begin to discover all that this delightful, nautically-oriented city has to offer. Try the great seafood! This morning we'll descend into the VIA Rail Station and prepare to board Amtrak's Adirondack for our 9:30 a.m. departure. Relax in your comfortable reclining coach seat. The Adirondack has been nominated by National Geographic Traveler Magazine as one of the world’s ten best rail trips. Lake Champlain, America’s sixth largest lake will begin to dominate the scenery to the east with the famed Green Mountains of Vermont providing a scenic backdrop. Further south we’ll pass through Saratoga Springs, a onetime retreat for the rich and famous. Feel free to explore the train. You’ll find sandwiches, snacks, and beverages in the Café Car. Midwest tour members will disembark in Schenectady; East tour members will disembark in Albany. Midwest tour members will board the Lake Shore Limited and enjoy the same accommodations and amenities as on their eastbound trip.Eastern and Mid-Atlantic tour members will continue to home destinations or spend the night in Albany and continue home tomorrow. This morning we are scheduled to arrive into Chicago at 9:45 a.m. on the Lake Shore Limited. Passengers will continue to home destinations throughout the day. Hotels include the Hampton Inn, Rodd Grand Yarmouth, Delta Halifax, Rodd Crowbush Golf & Beach Resort, Silver Dart Lodge and Fairmont Queen Elizabeth. Amtrak accommodations are in Coach class and include a reclining seat with leg rest. Upgrades to Roomette and Bedroom sleeping accommodations are available for an additional fee. Click here to view testimonials for Nova Scotia/Prince Edward Island. Enter your details below if you would like to be notified when 2020 dates and prices are available for Nova Scotia/Prince Edward Island. Pricing listed is for tour that begins/ends in Chicago. For additional pricing, please contact a rail specialist.